Drawings from Supplements I and II are added to the Standard E-Z DECORATOR System. 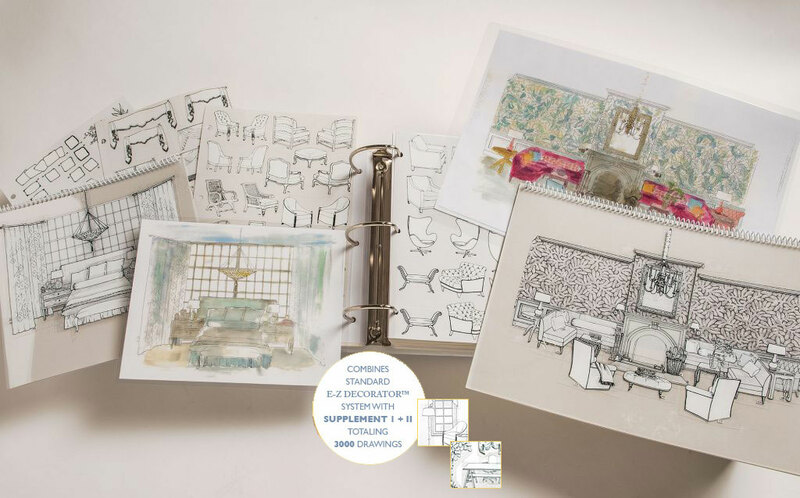 Offers 700 additional drawings, offering more variety and styles of furnishings, accessories, window treatments PLUS an additional category of contract/commercial and home office furnishings and accessories. Packages in a 3-ring binder with 1 standard grid/template.